The CBI admitted in the AP High Court that YSRC president Y.S. 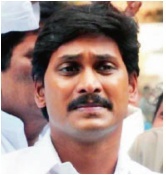 Jagan Mohan Reddy was not connected with falsification of government records with regard to allotment of land and extending benefits to the Vanpic project promoted by industrialist Nimmagadda Prasad. The admission came during a hearing on the bail plea of Mr Prasad. Justice Samudrala Govindarajulu, who was hearing the petition, closely questioned CBI counsel. The judge wondered how the alleged falsification of government records by Mr Prasad could be attributed to Mr Jagan Mohan Reddy. He cautioned CBI counsel on several occasions to not repeat the contents of the chargesheet as this was not a trial court, and asked him to confine himself to the grounds for not granting bail to the accused.